The Nembe Chiefs Council spokesman, Chief Nengi James-Eriworio, said that the blast caused a massive oil spillage in the Nembe kingdom in Bayelsa state. The Nembe trunk line is operated by the Port Harcourt-based Aiteo Group and carries crude to the Bonny export terminal. 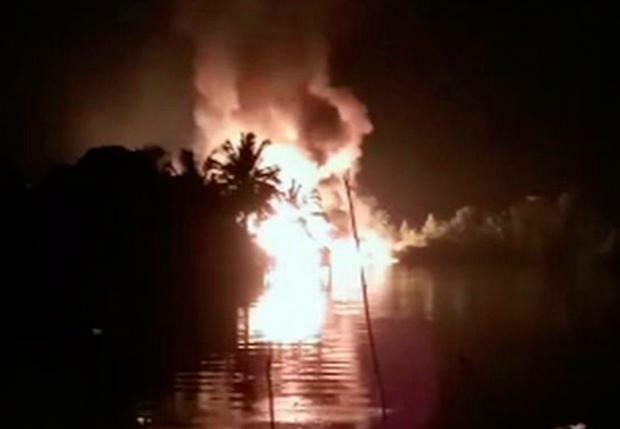 Video from the scene shows a large blaze from the ruptured pipeline as villagers look on. It is not immediately clear if the pipeline has been shut down. Aiteo is yet to comment on the explosion.